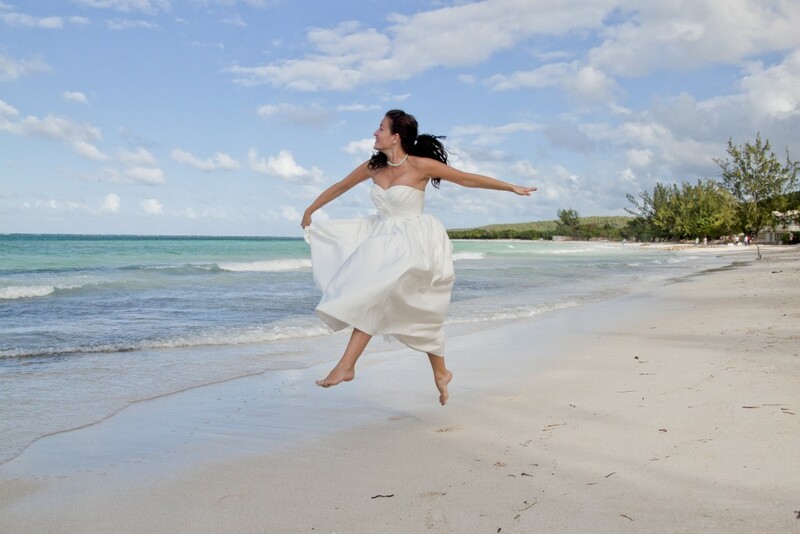 Jamaica’s idyllic white sand beaches and vibrant tropical blooms are what drew us to get married here. Dunn’s River Falls – Located in Ocho Rios, the 600 feet cascading falls are gorgeous. You can actually climb right up the falls. It’s an amazing experience! Give it a try if you’re up for a breathtaking challenge. Mystic Mountain – With a bob-sledding ride, ziplining, a water slide, and an aerial tram, Mystic Mountain is an adventure seeker’s must. Doctor’s Cave Beach – Montego Bay’s most famous beach with sugary sand and crystal clear waters studded with floating dive platforms and speckled with tourists sighing happily. There is an admission charge but it keeps out many of the beach hustlers that can be found around the island. Appleton Estate – This old sugar plantation produces some of the world’s top rums. Appleton is the island’s oldest and largest distillery. Guided tours of the impressive grounds and sprawling white factory buildings are conducted every day except Sunday, and are followed by a tasting of free-flowing samples in the John Wray Tavern. Reggae Xplosion – This interactive museum and multimedia tribute to Jamaican music tells the story of reggae, ska, rock steady, and other homegrown musical genres. Xplosion mixes music tracks, video clips, and memorabilia into a fusion of the sights and sounds that have defined this island and continue to shape it today. Rose Hall Great House – This 18th-century manse is not only beautiful, it’s also haunted. The ghost is said to be Annie Palmer, who was raised by a voodoo priestess on Haiti, took up the practice, moved to Jamaica, and became known as the White Witch of Rose Hall after murdering three husbands and several slave lovers. Even if you don’t believe in ghosts, the meticulously restored three-story plantation estate is worth seeing. Bob Marley Museum – This is the city’s most visited address. Formerly the home and studio of the legendary Bob Marley, the house now serves as both museum and shrine. Carnival – Be sure to take to the streets to witness Jamaica’s riotous fun-filled carnival. Parading musicians, skimpily dressed dancers and floats typify this world famous street party. Expect outlandish behaviour to the sound of soca, steel bands and beating drums. Explore the Rio Grande – Hop aboard a bamboo raft to explore the Rio Grande for a thrilling trip through banana and sugar cane plantations. A bamboo raft for two passengers is poled downriver by a skilled licensed raft captain for your river adventure down the Rio Grande river valley which is dominated by bamboo and banana groves. Passport – All visitors must have a valid passport for at least six months from the date of entry. Electricity – As in North America, the current in Jamaica is 110 volts but only 50 cycles, with outlets that take two flat prongs. Some hotels provide 220-volt plugs as well as special shaver outlets. Money Matters – The official currency is the Jamaican dollar, but few Americans bother to exchange money, since U.S. dollars are widely accepted. Marriage – Over the past several decades, “hotel marriages” have become a significant contributor to the total number of marriages occurring in the island (this is what we did). Hotel marriages are any marriage occurring in the island, performed by a certified marriage officer of the island. Plastic is invaluable when travelling in Jamaica. American Express, Diners Club, MasterCard and Visa are all widely accepted as are other cards bearing the Cirrus or Plus logo. Most Jamaican ATMs accept international bank cards and many banks give credit card cash advances. Proof of divorce (if applicable) – original Certificate of Divorce. Marijuana – Although cheap, plentiful, and powerful, Marijuana is illegal on the island. Foreigners can be arrested and jailed for drug use. Jamaican prisons are very basic and places you would want to avoid at all costs. This is My Fairy Tale!